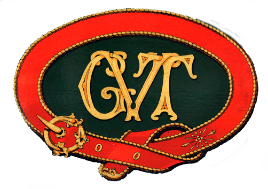  by locating, conserving, collecting, cataloguing, displaying and interpreting photographs, recordings, memorabilia and other records and artefacts of the former Glyn Valley Tramway and of past and present industries local to the Ceiriog Valley. The central principle upon which the Trust’s aims are founded is that of historical accuracy, authenticity and educational validity. The NGVT&IH Trust intends that its activities, once established, shall function in a sustainable manner, with the benefit of volunteer help, and without the need for ongoing external grant support. The NGVT&IH Trust aims, in pursuance of its objectives, to work in harmony with local residents and property owners, to ensure that its activities respect – and, where possible, enhance – the unique character and environment of the Ceiriog Valley.